Admission to the MBA program at IU Kokomo requires a bachelor's degree from an accredited college or university (business major not required), a completed application to the program, a personal statement of career goals, and official transcripts for all postsecondary academic work. Most applicants must also submit GMAT scores; those already holding...Admission to the MBA program at IU Kokomo requires a bachelor's degree from an accredited college or university (business major not required), a completed application to the program, a personal statement of career goals, and official transcripts for all postsecondary academic work. Most applicants must also submit GMAT scores; those already holding graduate degrees from accredited institutions, however, are exempted from this requirement. A formula score of at least 1,000 under the formula [(undergraduate GPA + 200) + GMAT score] is required of all applicants who submit GMAT scores. Successful completion of undergraduate-level courses in calculus, statistics, and composition, and a background in microcomputer applications are prerequisites to beginning the MBA program. These courses can be completed after admission to the program, however. Some qualified applicants may be denied admission due to space and resource constraints. Admissions decisions are made on a rolling basis, so it pays to apply as early as possible. International applicants must meet the aforementioned requirements and must also submit TOEFL scores (minimum score 550). The MBA program admits students for fall, spring, and summer semesters. IU Kokomo accepts students with deficiencies in their business education background, but these students are required to complete up to 18 credit hours of foundation courses in business. IU Kokomo attracts a “larger population of older students” of “all forms and fashions,” with “many women and minorities” filling out the ranks. MBAs here tend to be “normal, everyday people trying to better themselves in tough economic times,” and most often have a full-time job. They have “multiple demands on their time” in addition to school, including careers and, quite often, family obligations, so the school is usually “close to home” for all who attend. “My teammates for group work have been strong contributors, leaving no one person with a disproportionate work load. Our work groups are commit­ted to getting as much done as possible just before or just after classes meet, as we are all busy otherwise, and that works well for everyone.” Though most are “very friendly and helpful,” some “tend to stick together with fellow students from the same employer” and are “not always welcoming to outsiders.”IU Kokomo is “strictly a commuter campus” where students “come in, go to class, and leave,” so “there are relatively few gatherings as with other traditional campuses.” Despite the lack of socializing, there are few complaints, as this is specifically what most students are here for. “The format of the classes is set up in a way that it’s possible to have a life while earning your degree. The value of the program is amazing.” It is worth highlighting the efforts of the MBA Association (MBAA), which organizes social and intellectual events for those students who do spend time on campus. The school invites business leaders as part of its distinguished lecture series, enabling students to learn from some of the business world’s top players. Some here feel that “the safety of students attending night classes is an issue. I never see security at night, and the lighting could be better.” Statistics indicate that the city of Kokomo has a below average rate of crimes, such as assault, robbery, and automobile theft. IU Kokomo does not aggressively promote its career services for MBA students. Because most students in the program “are employed full time in positions of responsibility,” few actually require placement services or career counseling, and those who do generally rely on the assistance of their professors. MBAs may take advantage of the University’s Office of Career Services, which maintains job boards, a Career Library and Resource Center, and online career-related databases.Top employers in Kokomo include Delphi Electronics & Safety, Howard Regional Health, Saint Joseph Hospital, Haynes International, Meijer, and the University. The School of Business at Indiana University—Kokomo (IU Kokomo) capably serves area professionals seeking to advance their careers through an MBA degree, offering a “great education at an affordable price.” Students praise the program’s “excellent repu­tation” with area employers, as well as its “convenient location” and small class sizes that “make for an intimate setting.” “Students are people, not numbers here.” A public school that is one of only a dozen AACSB-accredited MBA programs in the state of Indiana, Kokomo provides a compelling option to business people seeking an affordable career-advancement opportunity in and around this city of 50,000.IU Kokomo’s program is “attuned to the regional industry base” of north-central Indiana, but is also flexible enough to “foster effective management of resources in diverse organizational units and settings,” according to the school’s promotional materi­al. Because nearly all its students work full time, the program offers flexible scheduling. All required classes are held during the week in the evening hours; electives are offered either during the day or in the evenings. Classes are alternately offered in eight- and six-teen-week formats, accommodating both those in a hurry to complete course work and those who wish to learn at a less frantic pace. Except for a capstone course, classes may be taken in any order, another accommodation for the convenience of IU’s busy students. Such convenience comes with a tradeoff, however, making it impossible for the school to fully integrate the curriculum, and some wish that there were “more electives” and more real-world learning experiences “where we actually get to use what the professor is stressing in lectures.” For example, it would be helpful to have, “an integrated case study that encompasses at least two courses per semester,” an impossibility under the current system. Some think that a few of the professors overcompensate for this lack of opportu­nities for practical demonstration by developing trickier and more “complex exams.”Part-time students typically complete Kokomo’s 30-credit MBA program in four years. The program is small, facilitating student-teacher interaction, and professors here are accessible, willing, and “brilliant, for the most part.” The downside of the school’s size is that it limits options. Some students complain that some courses are not offered frequent­ly enough. We have a student research center on campus which puts a strong focus on student research in our program. There are also grants available to students who wish to work on research with faculty members. 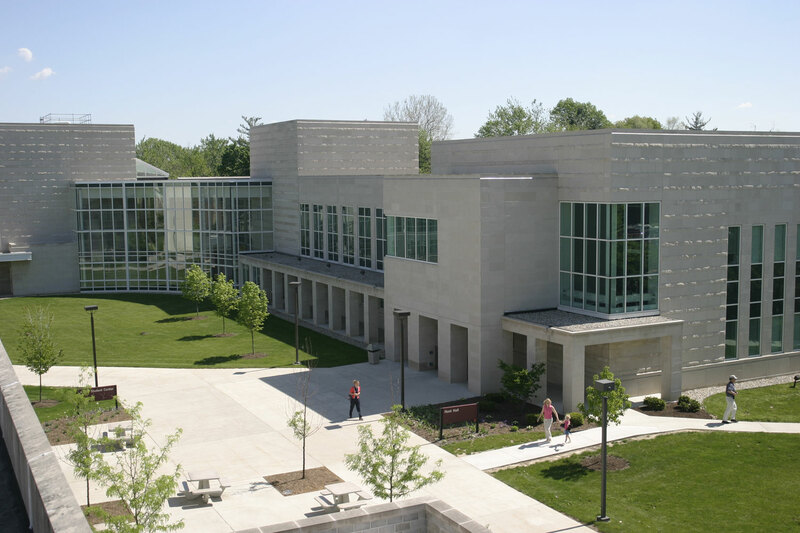 Want more info about Indiana University - Kokomo Division of Business and Economics Full Time MBA? Get free advice from education experts and Noodle community members.